Perfect for those who already look at life through rosé-tinted glasses! Say it with wine. Hand-written in gorgeous typography in ink and watercolour, it makes a lovely gift for a ‘fan of the vin’. 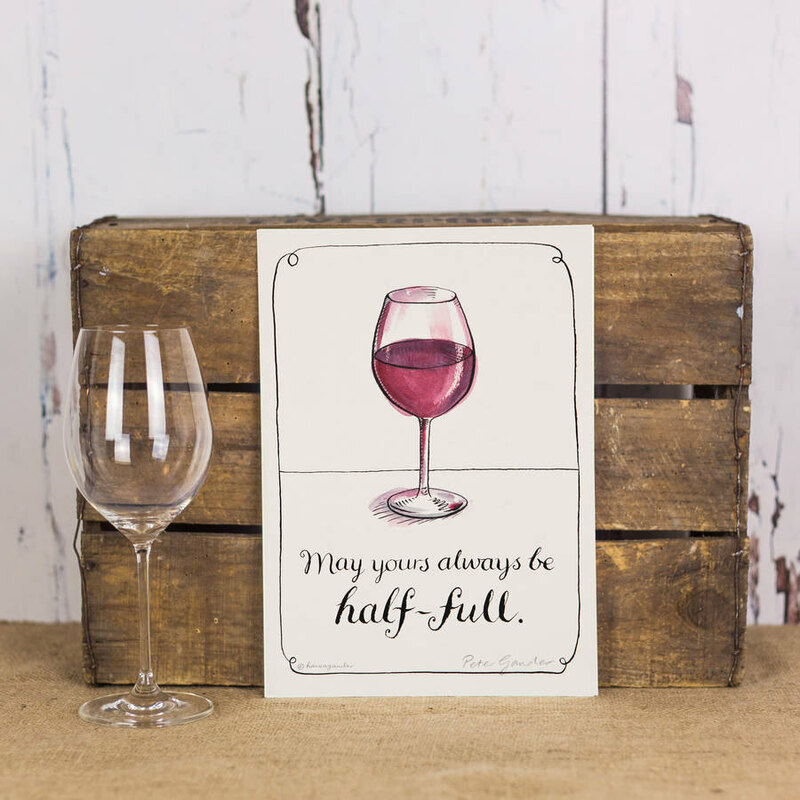 Celebrate the wonders of life and good wine with our humorous lifestyle print, either in your own home or as a gift for a treasured friend you spend time over a glass of wine with. Available in an A4 standard size that is easy to buy off-the-peg frames for. 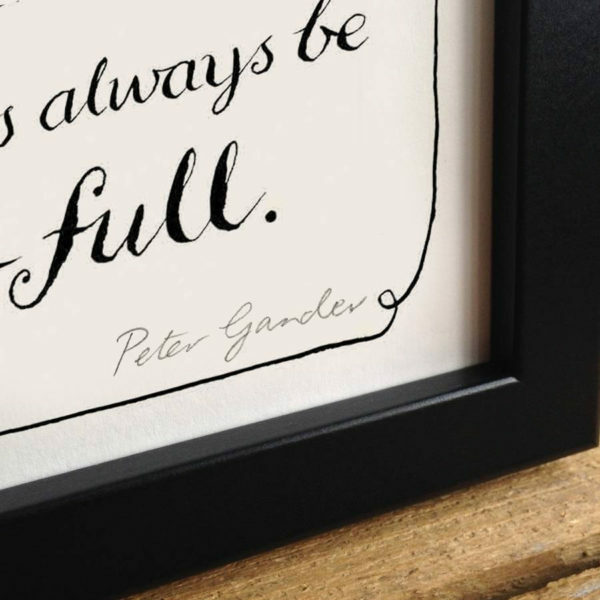 Original hand-drawn by Peter Gander and printed in Kent, on 300gsm Callisto pearl card.